Western Carolina will BLOW YOU AWAY! So, here we are. We're almost half way through the 2016 season and you're thinking to yourself, College Marching just featured the Jacksonville State Marching Southerners in what might be one of the best halftime shows ever put on a field. How could anyone even come close to that show this season? 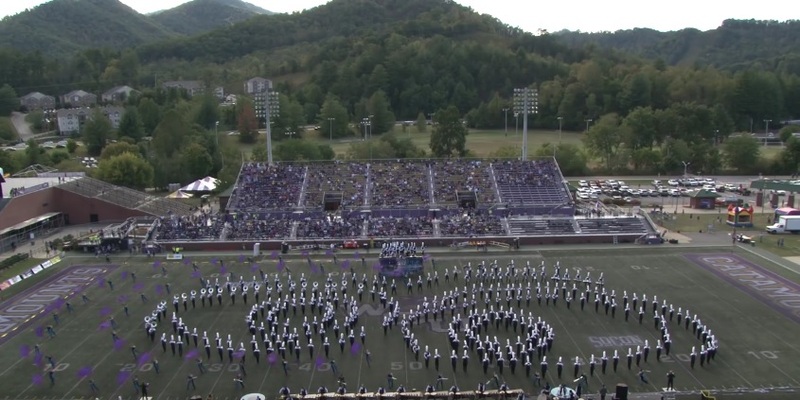 Let us reintroduce you to the baddest band in the land, the Pride of the Mountains from Western Carolina University. For those of you who might not know them, they are INSANE! Not only are they probably the most technologically advanced band in the country they can also melt extremities. No joke, there have been reports of arms melting at games by people who get too close to the field at halftime because the energy they put out is so hot. Sometimes they just cancel the second half of a game because the field is torched after they march on it. Okay maybe that doesn't actually happen, but what does happen is a halftime show that will make you want to go run through a wall after watching it. Just wait until you hear the drum line cover Zedd in their absurd feature and then watch as they magically transition (somehow) to Andrea Bocelli to close the show. Don't believe any of that is possible? Parting thought: WCU marches upwards of 500. The entire university only has 10,000 students. That means 5% of the student population is in the band.